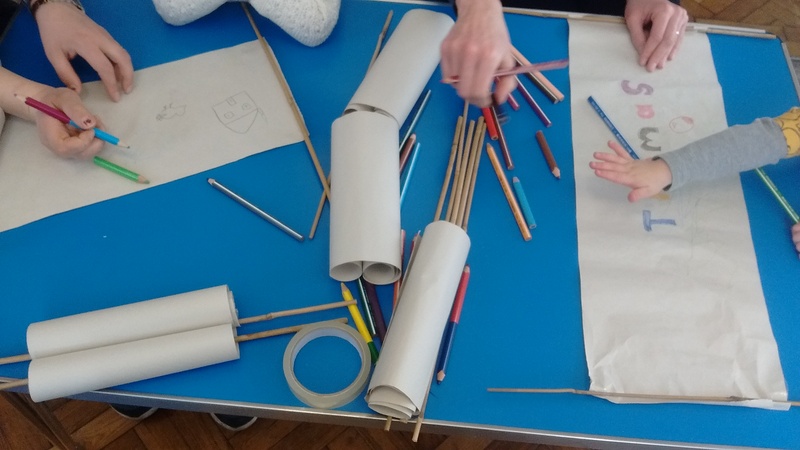 Our story today was about a message from God being written on a scroll, so we made our own scrolls. Tape a cane to each end of a strip of paper. 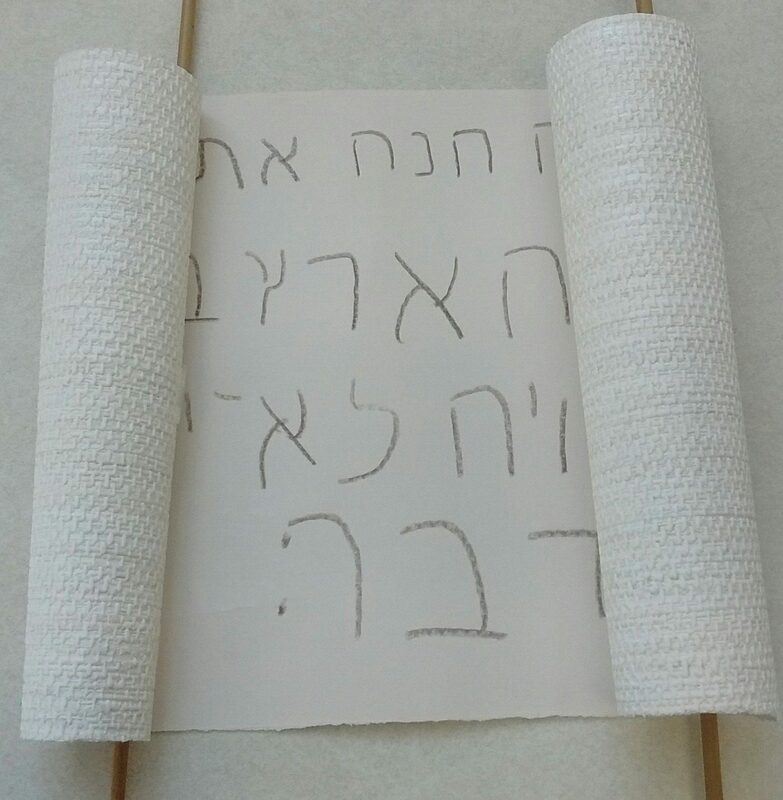 Get the children to draw pictures on the paper (I copied some Hebrew script on mine, because I was using it to illustrate the story later). Roll up the scroll and there you have it!